Want to exfoliate, increase circulation, and infuse your skin with nutrients all in one, simple treatment? 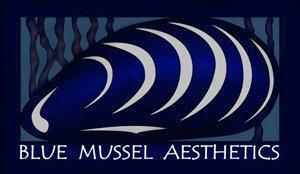 The medical aesthetics team at Blue Mussel Aesthetics in Juneau, Alaska, offers the innovative technology of DermaSweep skin revitalization treatments to do just that. Get visible results in a single, customized DermaSweep treatment that improves the appearance of lines, wrinkles, blemishes, and the signs of aging skin. Call to schedule your DermaSweep appointment today, or book online. DermasweepMD is a micro-resurfacing system incorporating exfoliation and skin specific infusions. The vacuum action of the wand stimulates blood flow and cleanses pores while gently lifting the skin. Increasing blood flow to the skin’s surface encourages collagen formation thus firming and toning the epidermis. Skin specific infusions are delivered to target your unique skin care needs for maximum results. Suitable for all skin types and ideal to treat acne, unwanted pigmentation, aging skin, dehydrated skin and dull skin. PeelFusions are self-neutralizing chemical peels can also be run through the DermasweepMD. Any peeling or flaking is considerably less because of removing the dead skin through micro-resurfacing as well as using the vacuum to infuse the PeelFusion into the skin deeper. These allow a gentler peel than the traditional chemical peel and deliver optimal results. The treatment is painless. Most patients are very relaxed during treatment. There is typically no downtime with the DermasweepMD or PeelFusions.